Working at height can be risky and lives can depend on fall protection systems. Apex Access Group’s highly experienced and skilled teams can ensure the safe and expert installation and testing of these safety measures. Our testing work includes fall protection services, eye bolt system testing and concrete testing and our services are available throughout the UK. All of our rope access technicians are trained and qualified to install anchor devices for work positioning, rope access systems, fall arrest and fall restraint. You can rest assured that our work meets the most stringent compliance standards. We can recommend and advise you on the type of fall protection that is most suitable for you level of risk. Safeguarding of the health, safety and welfare is a legal and moral responsibility and therefore every effort must be made to prevent any incidents or accidents from happening. Apex Access Group is able to advise on the most appropriate requirements for the situation. We also offer concrete testing at any level before carrying out concrete repairs. Before undertaking a concrete repair, it is important to find out what is causing the problem and to do this, accurate concrete tests can be done. This will help to inform how the concrete can be repaired and there are different products and techniques available which will match different problems. A professional testing service will save your business time and money and will also ensure that the concrete is repaired correctly, preventing further issues in the future. Our trained team of abseilers can test concrete, even in difficult to reach places. 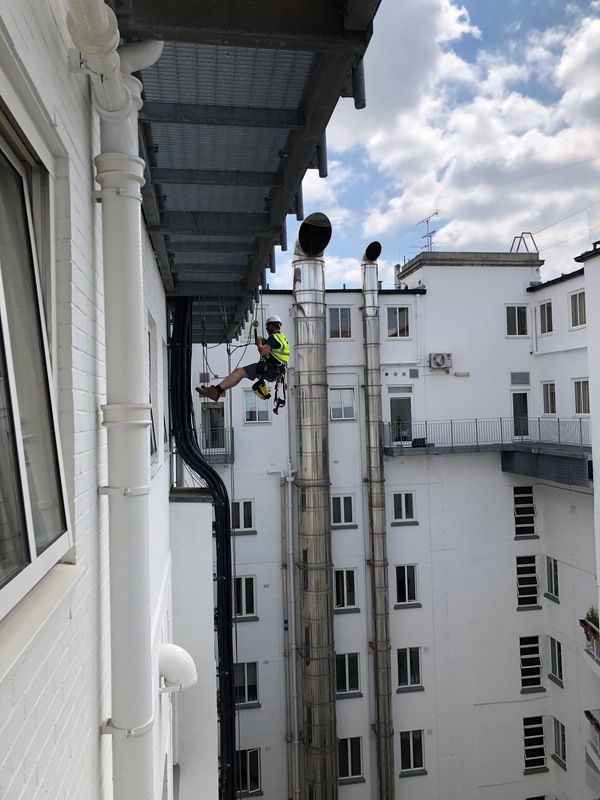 There are many benefits to using rope access technicians for this work, rather than traditional methods like scaffolding including the minimisation of disruption and cost benefits.